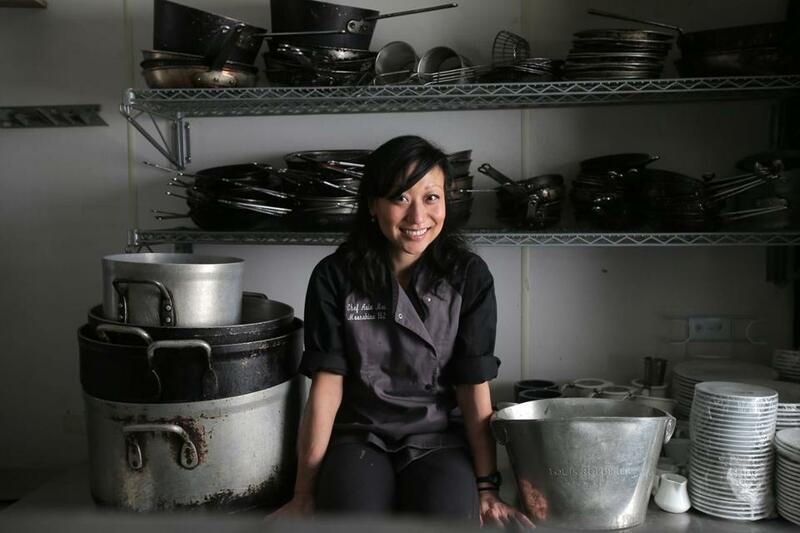 After years in Boston’s restaurant scene, she returns to a place she once worked — South Boston’s former Franklin Southie — to open her own eatery. When I was in high school I came out to Harvard for summer school and that was my introduction to the East Coast — and I loved it. Eventually I went to Boston College on a gymnastics and academic scholarship. I’d never cooked a thing in my life other than oatmeal and ramen, but I’ve always loved to eat. A friend’s family who owned this sushi place in the Fenway called Naha Cafe asked me if I wanted to work there. I found a world of food and fine dining I had no idea about. I ended up working at Clio for a day: I’d never seen anything like it. They asked me if I knew how to make mayonnaise and I thought Well, do you mean how do you open the jar? A week before graduation I called my family and told them not to come. I blew it off. Instead, I Googled all the four-star French restaurants in Boston. I walked into Hamersley’s Bistro and ended up talking with Gordon for three hours and I left four years later. When I became executive corporate chef at Whole Foods for all the Massachusetts stores, I didn’t think it would change my perspective on food, but it definitely did. Before that I was about everything salt, butter, and pork belly. But my focus switched to vegetables and grains. There’s sustainability in terms of the health of your customers. Everyone associates moonshine with alcohol — and that’s great, because I want people to realize the [new] bar is as important as the restaurant. But I remember when I used to work [at the former Franklin Southie] — it was a late-night restaurant, you’re there until 3 or 4 in the morning. I’d be cooking and I felt like I was working by the light of the moon.